Do you use WordPress as a platform for your website? Great! We at Ecwid do too. In this article, our expert team has hand-picked the best WordPress plugins for you in different categories. Jetpack is a popular free plugin developed by the folks over at Automattic, and over the past few years they’ve done a tremendous job improving the plugin by adding loads of useful features which makes managing a WordPress site a whole lot easier. 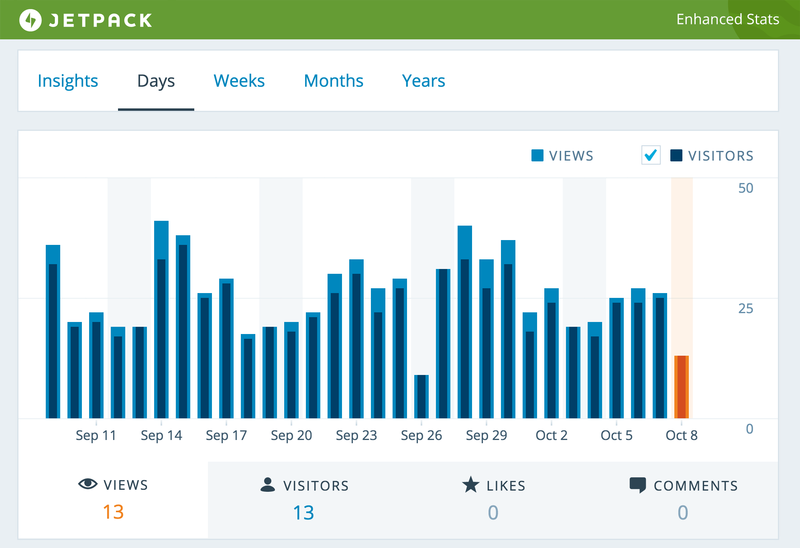 Jetpack simplifies managing WordPress sites by giving you visitor stats, security services, speeding up images, and helping you get more traffic. WordPress SEO is not just an SEO plugin, it is the complete website optimization package. Apart from adding titles and descriptions to your articles, it also allows you to add open graph meta data, do page analysis, publish xml sitemap, and so much more. It is easy to install and setup. This plugin provides you with easiest options to build the XML sitemap dynamically. Once you installed the plugin, you’re just required to build the sitemap for the first time — the plugin will keep maintaining the sitemap itself. Rated 5 on 5 by over 1300 users, downloaded over 10 million times. SEO Friendly Images is a great little WordPress SEO plugin which updates all images in your posts and/or pages with proper alt and title attributes. What makes this plugin extra cool is that it works retrospectively. Even if your images don’t have any alt attributes already set, the plugin will add them for you. Redirection is a powerful and popular WordPress plugin. Its primary features are easy-to-manage 301 redirections and 404 error tracking. It also offers more advanced tools to help you keep track of loose ends on your site like broken links and orphan pages. This plugin lets you verify your website in the respective Webmaster tools of the top search engines like Google. The Google Analyticator plugin makes it easy to integrate Google Analytics on your WordPress website. It offers some extremely useful features, most notably a 30-day account snapshot and the ability to exclude your logged in users from your traffic data. 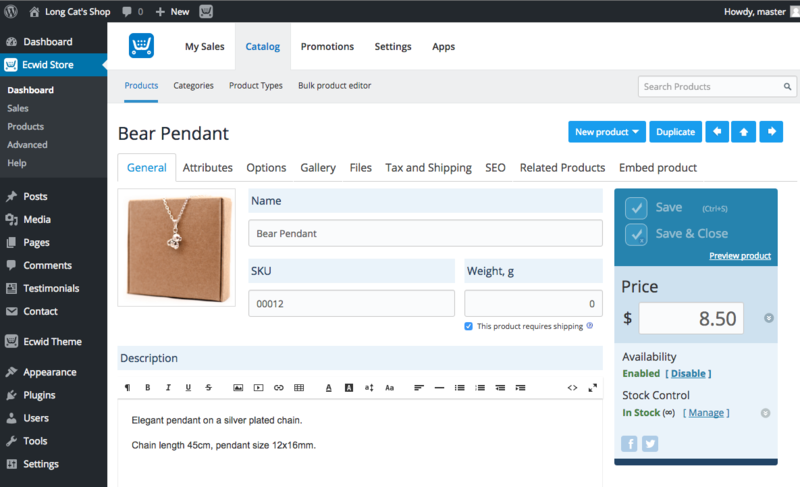 Ecwid is a free WordPress shopping cart plugin. Like WooCommerce, it adds full-featured storefront and store management admin backend to your site. In the same package, you get 45+ supported payment options, shipping and tax automation tools, discount coupons, downloadable goods (e-goods), Facebook and eBay integrations and more with no extra plugins needed. Plus, it’s PCI DSS Level 1 Certified, which is the gold security standard in ecommerce (as secure as your bank). 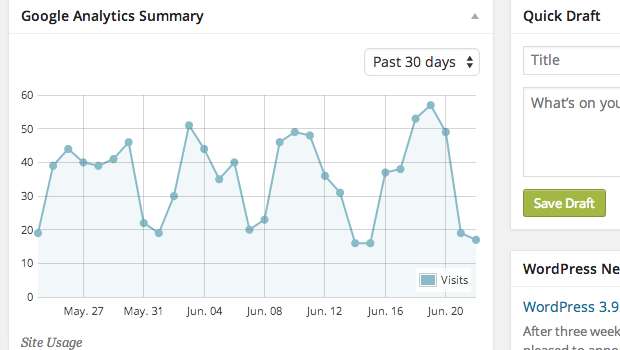 SumoMe provides a free toolkit of apps to grow website traffic. This plugin will make it easy for your readers to join your email list, share your articles and optimize with analytics. These tools help drive extra traffic, engage current visitors, and build an engaged audience. CloudFlare can do everything from offer CDN abilities to speed up your WordPress website, add additional pre-screening security through a firewall system, protect your site against DDoS to ensure that something will be visible to real visitors and, probably most importantly, offer a high-quality DNS service. W3 Total Cache is the fastest and most complete WordPress performance optimization plugin. Trusted by many popular sites including: AT&T, Mashable, Smashing Magazine, Webdesigner depot, and millions others. W3 Total Cache improves the user experience of your site by improving your server performance, caching every aspect of your site, reducing the download times and providing transparent content delivery network (CDN) integration. WP Smush is the fastest, most user-friendly and best-performing image compression plugin for WordPress. It lets you resize and compress JPEG, GIF and PNG images up to 32MB individually or in bulk using our dedicated smushing servers. The WordPress Backup to Dropbox plugin will backup your site’s files and a SQL dump of its database and send it to your Dropbox account. All you need to do is choose a day, time and how often you want your backup to occur and it will all happen automatically. UpdraftPlus is a backup plugin with automatic scheduling support. It is one of the most popular free WordPress backup plugins, with more than 800,000+ active installs with 2000+ five star ratings. With this plugin you can backup and restore your WordPress ecommerce site automatically to Amazon S3 (or compatible), Dropbox, Rackspace Cloud Files, Google Drive, Google Cloud Storage, DreamHost DreamObjects, FTP, OpenStack (Swift), and more on a repeating schedule and restore both file and database backups quickly. Shareaholic helps website owners engage and grow their audiences, monetize traffic, and gain insights from how their content is being shared across the web. Access customizable share buttons, related content display, social analytics, and site monetization apps such as promoted content, native ads and affiliate links. Use this plugin to showcase Instagram photos on your blog or website. Choose whether to import images from a specific user, or based on particular hashtag, and the plugin will do the rest. You can choose whether to display a grid of thumbnails, or a slideshow of images, and there are options to customise the background, colour themes, borders and slideshow. NextGEN is a photo gallery plugin for WordPress to help you display your images for maximum effect on your blog or website. With more than a million active users is a great choice for just about all use cases. Simple plugin that adds extra functionality to Menu Items. The plugin will allow to show or hide menu items based on condition statements (is single page, User is Logged In, etc). 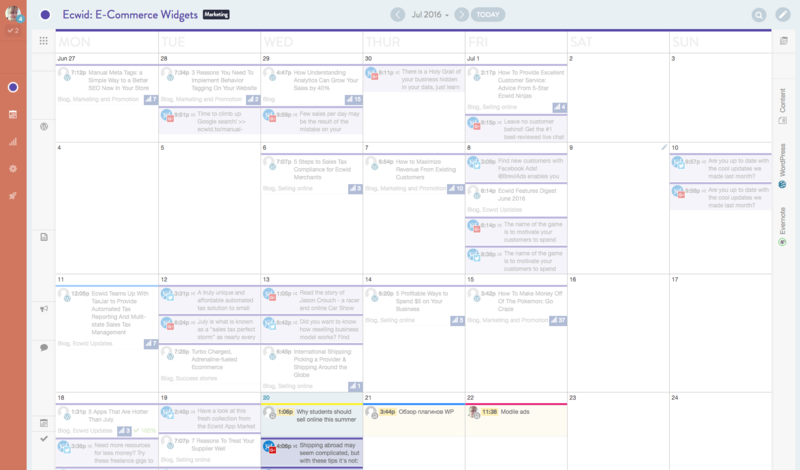 CoSchedule is hands down the best editorial calendar for your content marketing and social scheduling. We use it at Ecwid too! This plugin is quite unique. According to its WordPress Plugin Directory listing, it is the first and only WordPress social media editorial calendar. It means that not only can you quickly and easily schedule your posts, but also your social media updates, all from the same drag-and-drop calendar. Click to Tweet plugin allows you to easily create tweetable content for your readers. Use pull quotes and custom messages inside the body of your blog post to highlight your content for the reader and make it simple for them to share on Twitter. 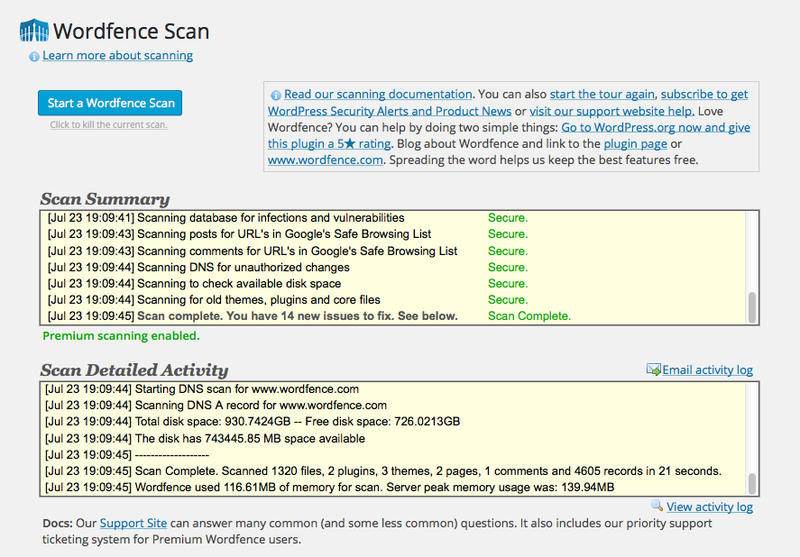 Wordfence is a free plugin you can use in your WordPress site to scan for hacked files and to monitor the access of visitors to your site. It also features network and geo-blocking, brute-force blocking, source code verification, file and core scans, real-time attack reporting, and two-factor authentication. It is the most downloaded wordpress security plugin with over a million active users. Akismet is a comment spam blocking service that automatically checks all comments and filters out the ones that look like spam. The plugin uses an algorithm to analyze comments and pingbacks that are submitted to your site and sorts through the clutter to figure out which ones are worth keeping and which ones you may want to hurl violently into the virtual trash can. 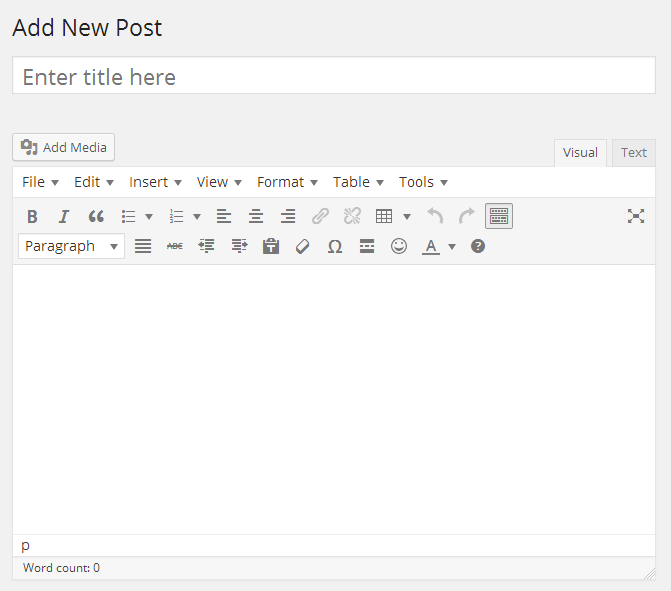 TinyMCE Advanced is a free plugin which makes the WordPress post and page editor even more powerful. Once this plugin is installed on your site, you can not only customize the buttons which are displayed on the post editor, removing or adding items as needed, but you also get access to a selection of new buttons and functionality. Broken Link Checker monitors links in your pages, posts, comments, and even custom fields. 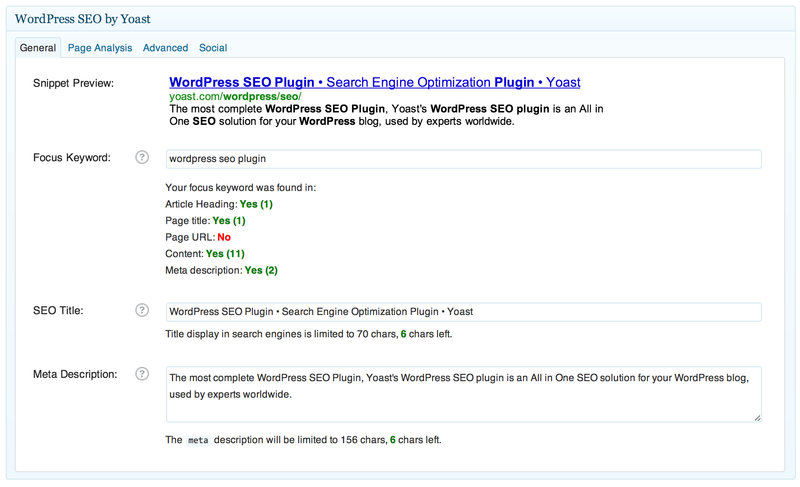 When it finds a broken link, the plugin will notify you via the WordPress dashboard or by email. 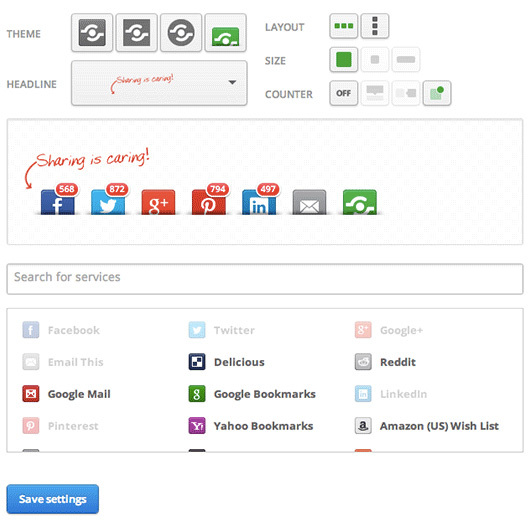 This plugin is very handy when you are cleaning up your WordPress site after some time. I hope the list above has provided you with a few new ideas for plugins that are worth checking out. Did we miss your favorite plugin? Do you use any apps from the Ecwid App Market? Let us know in the comments section below.